When the nerve of a tooth becomes infected, a root canal is often necessary. If you have a severe toothache when you chew or apply pressure, or one or more teeth are very sensitive to hot and cold temperatures, you may have a damaged or exposed nerve. 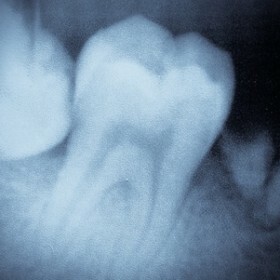 After Dr. Bundalo examines you, a root canal may be recommended. However, in many cases, if a toothache is treated early, a root canal may not be necessary. It’s important that you come and see us promptly if you are experiencing any pain in your mouth! LB Dental uses the WaterLase cold laser for many of our surgical procedures, in order to provide a pain-free experience to our patients. Besides being pain-free, because of the precision of the WaterLase cold laser, healing time after surgical procedures is also reduced dramatically!